I have updated the list of declared and nominated candidates standing in the next provincial election. Athabasca-Sturgeon-Redwater: At a nomination meeting scheduled for September 21, former Liberal caucus staffer turned NDP activist Mandy Melnyk will face Canadian Union of Public Employees Local 3550 President Trudy Grebenstein for the NDP nomination. Calgary-Bow: Former Alderman and mayoral candidate Joe Connelly has joined the Wildrose nomination contest. Also contesting the nomination are Tim Dyck and John Hilton-O’Brien. Calgary-Buffalo: Mount Royal University Professor Lee Easton has withdrawn his name as the Alberta Party candidate in this constituency. Mr. Easton was a candidate for the Alberta Party leadership earlier this year. Calgary-Currie: Businessman Norval Horner is seeking the Liberal nomination. Mr. Horner is a distant cousin to Progressive Conservative leadership candidate Doug Horner. The Liberals held this constituency until 2010, when two-term MLA Dave Taylor left to sit as an Independent. He later joined the Alberta Party and recently announced he would not be seeking re-election. Calgary-East: Robin Luff was nominated as the NDP candidate at a joint-nomination meeting on September 5. Calgary-Fort: Kirk Oates was nominated as the NDP candidate at a joint-nomination meeting on September 5. Mr. Oates was the federal NDP candidate in Calgary-Southeast in the 2011 federal election. 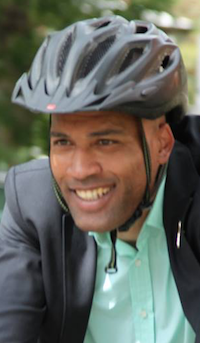 Calgary-Greenway: Al Brown was nominated as the NDP candidate at a joint-nomination meeting on September 5. Mr. Brown has run for the NDP on numerous occasions, including as their candidate in Calgary-East in the recent federal election. Calgary-McCall: Collette Singh was nominated as the NDP candidate at a joint-nomination meeting on September 5. Ms. Singh was her party’s candidate in Calgary-Northeast in the recent federal election. Calgary-Varsity: Cynthia Caldwell was nominated as the NDP candidate at a joint-nomination meeting on September 5. Cardston-Taber-Warner: On September 17, businessman Doug Cooper and Village of Sterling Deputy Mayor Gary Bikman will contest the Wildrose nomination. Former nomination candidate David Wright withdrew his name from the contest and endorsed Mr. Bikman. The constituency was represented by Wildrose MLA Paul Hinman from 2004 until 2008 (Mr. Hinman now represents Calgary-Glenmore). Drumheller-Stettler – What was originally shaping up to be a five person Wildrose nomination contest has dwindled down to a two person race. Still left in the contest are Rick Strankman and Doug Wade. The three other candidates, Dave France, Chris Warwick, and Patrick Turnbull, dropped out of the race when they did not meet the necessary qualifications required by their party. Edmonton-Beverly-Clareview: Businessman Don Martin is seeking the Wildrose nomination. Edmonton-Decore: Real Estate agent Ed Ammar is the nominated Liberal candidate in the constituency named for former Liberal Party leader Laurence Decore. Liberal MLAs Mr. Decore, Bill Bonner, and Bill Bonko represented the area from 1989 until 2008, when former School Board Trustee Janice Sarich captured it for the PCs. Edmonton-Ellerslie: Community activist Chinwe Okelu is seeking the Alberta Party nomination. founder of Young and Associates, an Edmonton-based company that facilitates mediation and negotiations. He has run for City Council numerous times and his connections as a former Liberal Party supporter will create an interesting dynamic in this contest, in which former MLA Bharat Agnihotri is also running. Edmonton-Glenora: Former NDP MLA Ray Martin is seeking his party’s nomination in this constituency. He was his party’s leader from 1984 until 1994, Mr. Martin was the MLA for Edmonton-Norwood from 1982 until 1993 and Edmonton-Beverly-Clareview from 2004 until 2008. He has also ran for federal office in 1997, 2000, 2008, and 2011. Edmonton-Mill Creek: Mike Butler is seeking the Liberal nomination. Mr. Butler ran for the federal Liberals in Edmonton-Mill Woods-Beaumont in the 2011 election and for the NDP in the same federal riding in the 2008 election. He also ran for the NDP in Edmonton-Rutherford in the 2008 provincial election. Lethbridge-West: Activist and writer Shannon Phillips defeated James Moore to capture the NDP nomination on September 11. Ms. Phillips has received high-profile endorsements from Stephen Lewis and Naomi Klein. 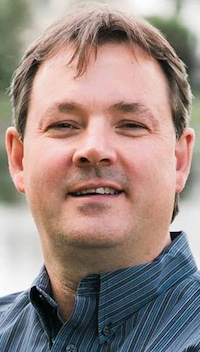 St. Albert: Local businessman Tim Osborne was acclaimed as the Alberta Party candidate. This entry was posted in Alberta Politics and tagged Al Brown, Bharat Agnihotri, Chinwe Okelu, Cynthia Caldwell, Dave France Chris Warwick, David Wright, Don Martin, Doug Cooper, Doug Horner, Doug Wade, Ed Ammar, Gary Bikman, James Moore, Joe Connelly, John Hilton-O'Brien, Kirk Oates, Lee Easton, Mandy Melnyk, Norval Horner, Patrick Turnbull, Ray Martin, Rick Strankman, Robin Luff, Shannon Phillips, Tim Dyck, Tim Osborne, Trudy Grebenstein on September 16, 2011 by Dave Cournoyer. 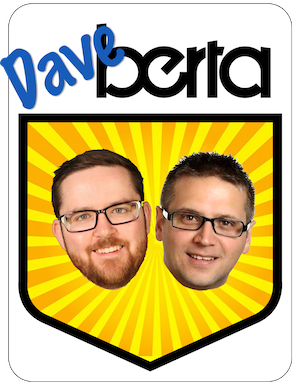 alberta candidate nomination update – september 2011. 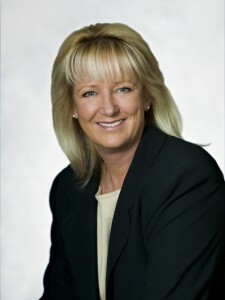 Airdrie: The Airdrie City View is reporting that former Airdrie Mayor Linda Bruce is volunteering for Gary Mar‘s PC leadership campaign, adding to the speculation that she may seek the PC nomination to challenge Wildrose MLA Rob Anderson. Is Janis Tarchuk hanging up her hat? Banff-Cochrane: Transport worker Jamie Kleinsteuber has been nominated as the Alberta NDP candidate in this mountain constituency. Incumbent PC MLA Janis Tarchuk is being tight lipped about whether she will seek re-election. Ms. Tarchuk was first elected in 1997 and served in cabinet until she was dropped from cabinet in 2010. Calgary-Currie: Alberta Party MLA Dave Taylor has announced that he will be retiring at the next election. This is not a complete surprise, but it is not good news for the new party, who will lose their only incumbent MLA at the next election. Mr. Taylor was first elected as a Liberal in 2004 and left that party to sit as an Independent in 2010. He joined the Alberta Party in 2011. Calgary-Mackay-Nose Hill – Collin Anderson has been nominated as the NDP candidate in this north Calgary constituency. Ms. Anderson ran in the recent federal election as the NDP candidate in Calgary-Nose Hill and in the 2008 provincial election in Calgary-North West. has served in positions with Telecommunications Workers Union and the Calgary & District Labour Council. Calgary-McCall: Depending on who you believe, the Wildrose either disqualified them for breaking the nomination rules or they quit, but candidates Deepshikha Brar, Khalil Karbani, and Braham Luddu are no longer eligible to run for that party. Candidate Grant Galpin appears to be the only candidate left standing. Drumheller-Stettler: Hanna Town Councillor Chris Warwick has withdrawn his nomination for the Wildrose candidacy in this constituency. Candidates Dave France, Rick Strankman, and Patrick Turnbull remain declared in the nomination contest,. Edmonton-Castle Downs: Former pharmaceutical employee John Oplanich is the nominated Wildrose candidate in this north Edmonton constituency. Mr. Oplanich ran for Edmonton City Council in 2010, placing third in Ward 3. 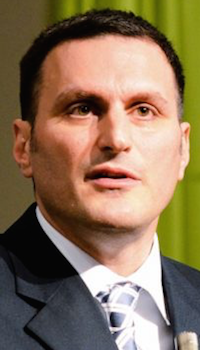 Edmonton-McClung: Varscona Theatre executive director John Hudson has been nominated as the Alberta Party candidate in this west Edmonton constituency. 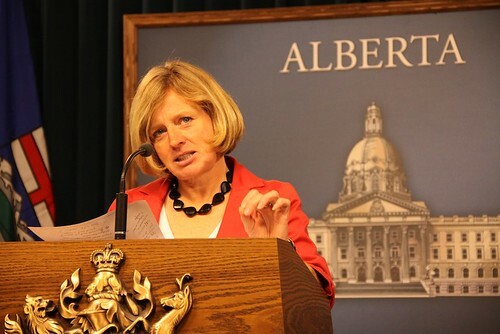 Edmonton-Strathcona: NDP MLA Rachel Notley is expected to be acclaimed at a nomination meeting planned for October 11. Vancouver-Kingsway NDP Member of Parliament Don Davies is the guest speaker. Lethbridge-West: Candidates Shannon Phillips and James Moore will face-off in a contested NDP nomination meeting on September 11. Olds-Didsbury-Three Hills: The race to replace retiring Progressive Conservative MLA Richard Marz is on. 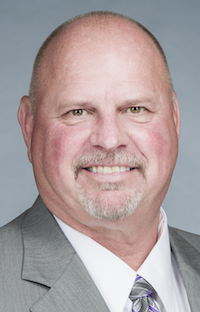 Mountain View County councillor and former reeve Al Kemmere has announced his candidacy to seek the PC nomination. Mr. Kemmere is also a director for the Association of Alberta Rural Municipalities and Districts. Also seeking the nomination is William Stevenson, who has been endorsed by PC leadership candidate Ted Morton and Wild Rose Member of Parliament Blake Richards. St. Albert: Former St. Albert alderman James Burrows is the nominated Wildrose candidate. Liberal Party activist Alex Bosse is seeking his party’s nomination. 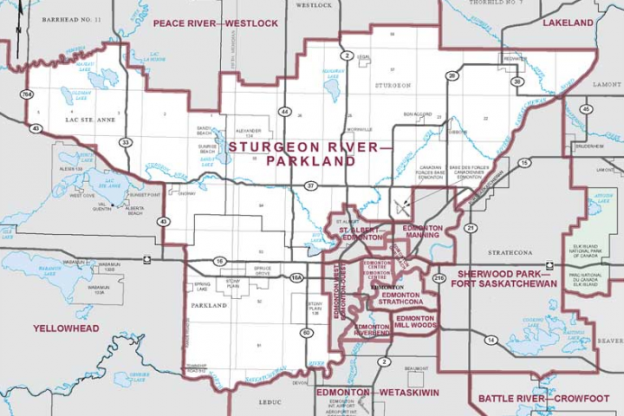 Sturgeon-St. Albert: Linda Robinson, co-chair of the Indigenous Peoples caucus of the NDP, is seeking her party’s nomination in this constituency. Ms. Robinson works for the Alberta Federation of Labour. This entry was posted in Alberta Politics and tagged Al Kemmere, Alex Bosse, Braham Luddu, Chris Warwick, Collin Anderson, Dave France, Dave Taylor, Deepshikha Brar, Don Davies, Gary Mar, Grant Galpin, James Burrows, James Moore, Jamie Kleinsteuber, Janis Tarchuk, John Hudson, John Oplanich, Khalil Karbani, Linda Bruce, Linda Robinson, Patrick Turnbull, Rachel Notley, Richard Marz, Rick Strankman, Rob Anderson, Shannon Phillips, Ted Morton, William Stevenson on September 3, 2011 by Dave Cournoyer.